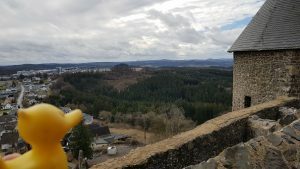 On our way to Eltz Castle we saw a sign directing to the Castle Nürburg. 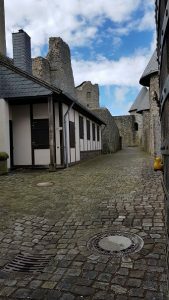 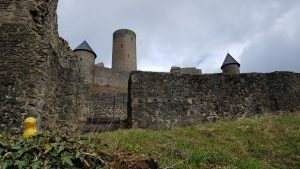 I passed the Castle many times in my live but never made a stopp so this time we used the Chance to visit the impressive compound next to the famous race court Nürburgring with the famous Nordschleife. 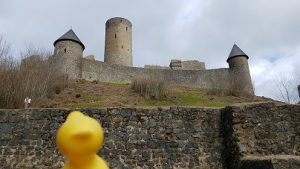 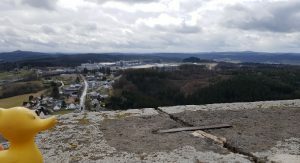 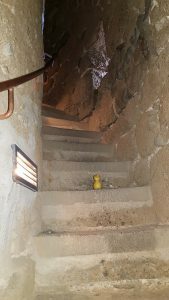 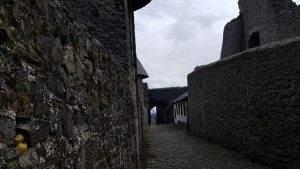 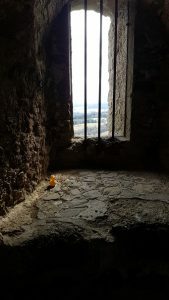 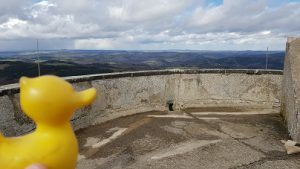 We climbed up on the Castles highest tower and enjoyed the view and sound of the Amateur tourist racers which made us think about the wild Huns from the Nibelungenlied.